A cousin of watermelon, cucumber and pumpkin, bitter melon looks like a large cucumber with a lighter green and more gourd-like skin. In tropical cultures, where it’s cultivated, bitter melon is used to support digestion because of its natural ability to break down carbohydrates. When using bitter melon for medicinal purposes, the entire plant can be used, dried or fresh, from leaves and stems and, of course, the actual juice of the melon. Our naturopathic doctors at Heart of Wellness and researchers around the world are interested in bitter melon for its effect on blood glucose levels in patients with diabetes mellitus. Chemicals in the extract act similar to the insulin used to treat diabetes. 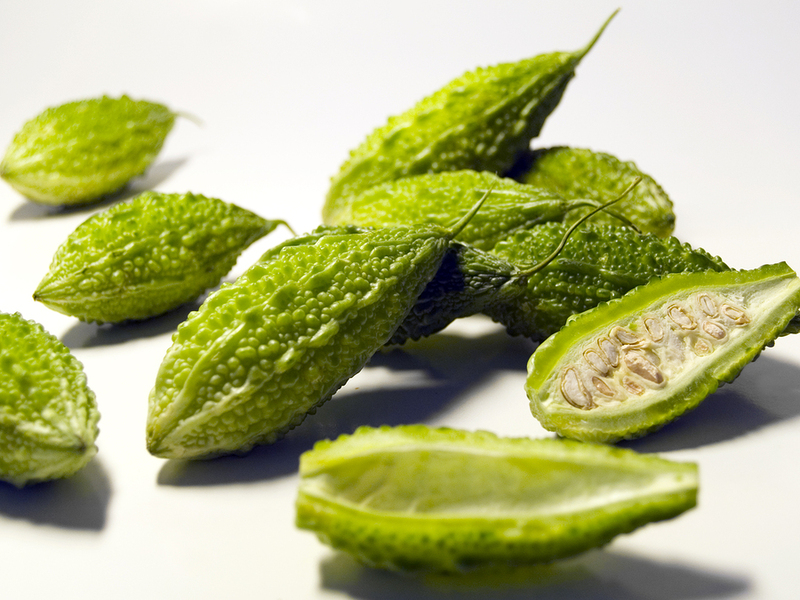 A number of studies, including “Bitter Melon” published in the Journal of Nutrition, have found that bitter melon juice, fruit and dried powder have a moderate effect on lowering blood glucose. In other studies, a “plant insulin” injection given to patients with Type-1 diabetes showed a decrease in blood glucose. The decrease was not as significant for patients with Type-2 diabetes, but there was a decline in blood glucose levels when compared to a control group. While researchers have not agreed on a one-size-fits-all approach to using bitter melon for blood glucose management, it seems that source and type of preparation, as well as individual patient factors, may play a role in the effect of bitter melon on diabetes. Bitter melon may or may not be a beneficial addition to your diet. Our staff of naturopathic physicians can help you determine how best to incorporate the melon into your diet. To eat, blend bitter melon into various foods you already consume and enjoy it several times a week when in season. Although considered relatively safe, consult your naturopathic physician to determine the appropriate type and amount to use for your particular needs. If you are pregnant or nursing, only use the supplement under the care of a qualified practitioner. If you’re interested in learning how to use bitter melon in your diet, call us at 360-570-0401 to schedule an appointment. We will gladly help you determine whether bitter melon can help you and also provide some preparation methods and recipes for you to try. This entry was posted in Articles, Uncategorized and tagged diabetes, herbal supplements, superfood.